Tim R. Stein, 57, of Oldtown Valley, died Thursday, August 16, 2018 in his home following a period of declining health. A son of Sylvia (Horsfall) Stein and the late Ronald H. Stein, Tim was born March 9, 1961 in Twin City Hospital at Dennison, Ohio. Tim graduated from New Philadelphia High School in 1979. He then enlisted with the United States Army and was stationed in Germany. Then on January 7, 1983, Tim married the former Marcy Sauser and together the couple raised three children, Casey, Andrew and Dakota. He was a longtime employee of Central Allied Asphalt at Canton and was a member of Union Laborer’s Local #134. He was a member of St. Peter’s Lutheran Church. 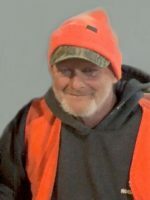 Tim was an avid outdoorsman who enjoyed fishing and hunting and especially enjoyed spending time at his cabin on the river. He was also quite fond of his faithful Black and Tan Coonhound. He is survived by his mother, Sylvia of New Philadelphia; his wife of 35 years, Marcy; his children, Casey Ramey of Sherrodsville; Andrew (Kerie) Stein of Stone Creek and Dakota (Keely Heter) Stein of Wainwright; six grandchildren, Kaden and Kensley Ramey, Brayden and Gretchen Stein and Remi and Gauge Stein; two brothers, Jeff (Diane) Stein of Galena and Scott (Amy) Stein of New Philadelphia; his mother-in-law, Brenda Swegheimer; a sister-in-law, Stacey (Terry) McAfee of Newcomerstown and several nieces and nephews. Tim was preceded in death by his father, Ronald; a brother, Matthew Stein; a nephew, Bo Stein; his father-in-law, Bud Sauser and brother-in-law, Seth Sauser. Visitation will be held on Monday, August 20, 2018 from 5 to 8 p.m. in the Linn-Hert-Geib Funeral Home & Crematory at New Philadelphia. A funeral service celebrating Tim’s life will be held on Tuesday, August 21, 2018 at 10:30 a.m. in the funeral home with Rev. Hugh Berry officiating. In keeping with Tim’s wishes, cremation will follow the services. Those wishing to do so may send the family a personal condolence and light a candle in remembrance of Tim by visiting the funeral home website, www.geibcares.com. Contributions may be made in Tim’s memory to the Stein Memorial Scholarship Fund, P.O. Box 70, Berlin, OH 44610 or to Community Hospice of Tuscarawas County, 716 Commercial Avenue SW, New Philadelphia, OH 44663.